Jackie Robinson had a traveling All Star team in the late 1940s and early 1950s. It was common for star players to have All-Star teams. On the inside left button path is the Butwin manufacturer’s tag. 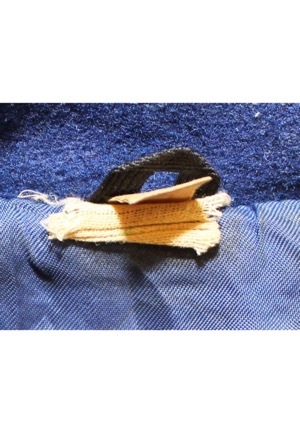 Attached to the rear collar is a flag tag that reads “50 DRY CLEAN” and a heavily faded blank flag tag. 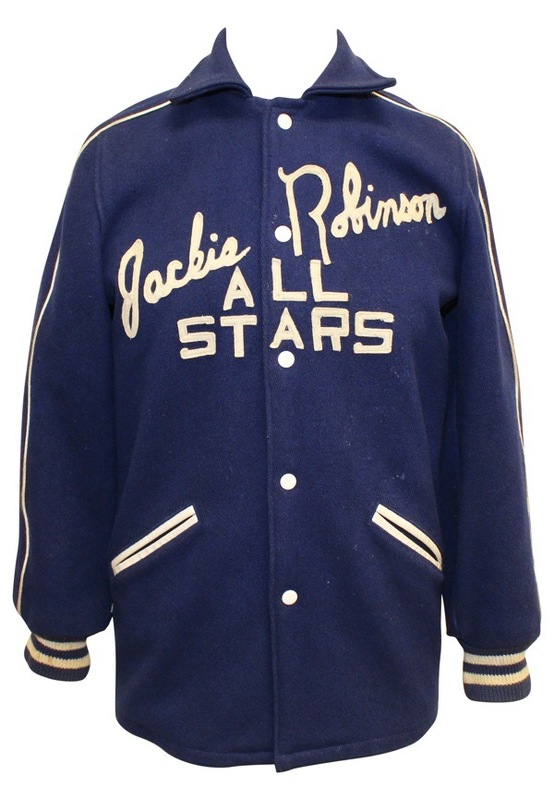 Across the chest reads “Jackie Robinson ALL STARS” in white felt. 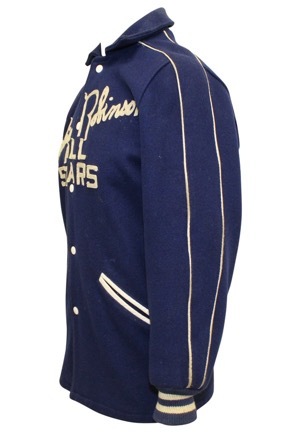 This rare heavy wool coat is in remarkable condition. 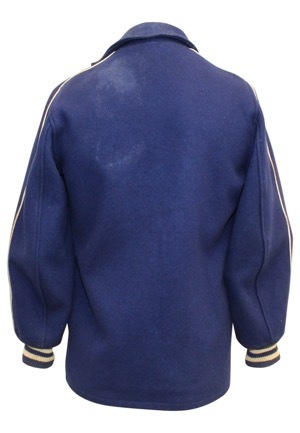 This jacket is properly tagged and was presented to us as player-worn and shows use.